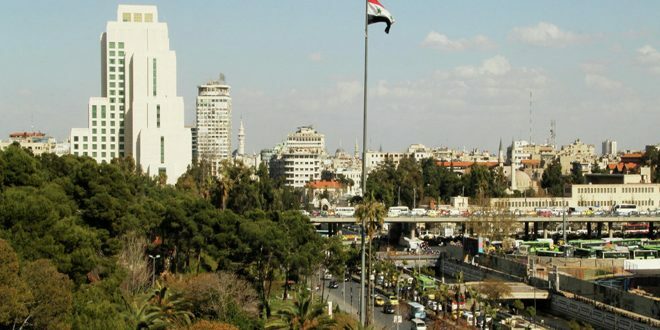 Damascus, SANA- Temperatures will slightly drop to become below average in general as the country is affected by a low air pressure in all layers of the atmosphere. 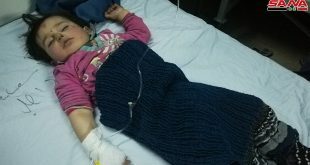 Meteorology Department expected in its Saturday bulletin that the skies will be partly cloudy to cloudy and rainy, and heavy rainfalls accompanied by thunder sometimes will fall over the southern areas, al-Qalamoun and al-Badyia “desert”, warning against torrents in the valleys and slopes. Tomorrow, temperatures will remain below average in general and the skies will be partly cloudy to cloudy and heavy rainfalls accompanied by thunder will fall over most areas. Weather Forecaster Shadi Jawish said that the current low air pressure will last till the night and it will become weaker tomorrow in most areas. Jawish indicated that the weather will become stable on Monday while the effect of the low air pressure will return on Tuesday and Wednesday. 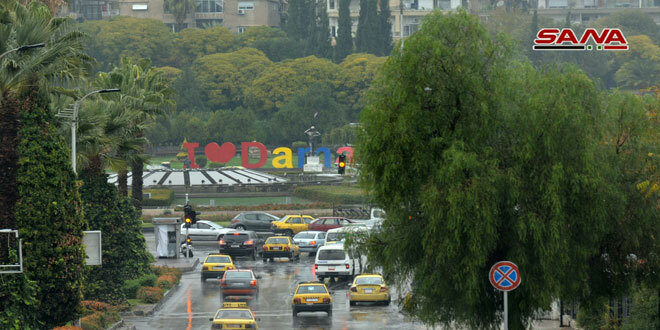 Different amounts of rainfalls have been registered in several areas across the country over the past 24 hours as follows: Damascus 9mm, in Damascus Countryside 14, Sweida 11mm, Daraa 9 mm and in Quneitra 19 mm. The expected temperatures in some major Syrian cities will be as follows: Damascus 16-11, Daraa 20-12, Homs 14-10, Lattakia 25-14, Aleppo 17-11 and Deir Ezzor 14-11.